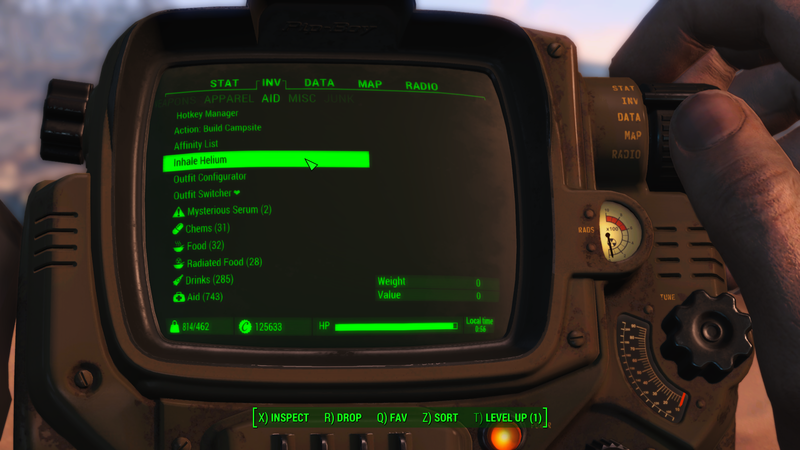 Enable HeliumBalloon.esp using a mod manager or manually. 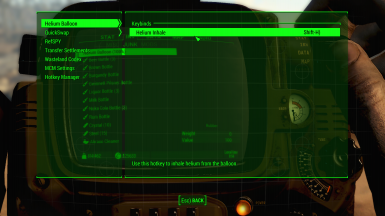 After installing the mod (and completed Out of Time stage 6) you will receive an AID item to your inventory called Inhale Helium which you can use to activate the Helium Voice perk in case you have 100%, 66% or 33% filled balloons in your inventory. You can also craft this item at Chem Stations under UTILITY. 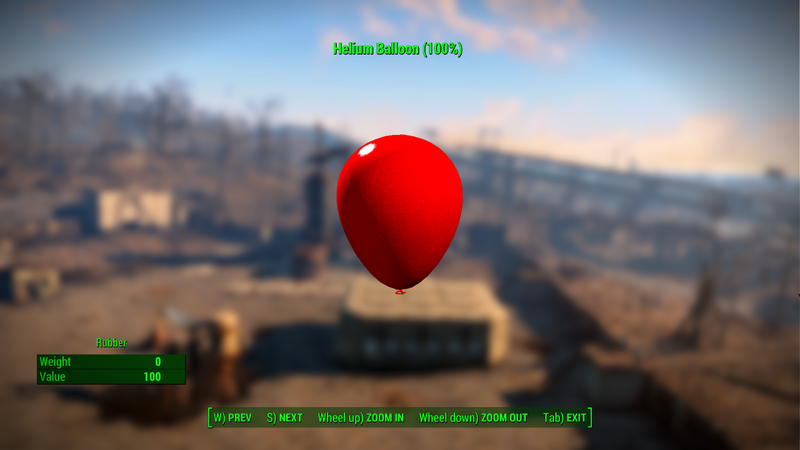 You can buy Helium Balloons from chem dealers as common items. 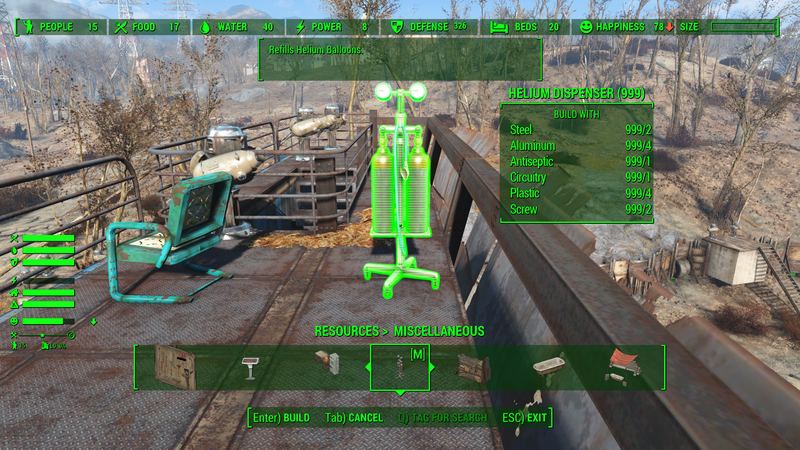 Balloons are injected into the leveled list of chem vendors' stashes by a script (duh), so there's no way it could conflict with any other mods. 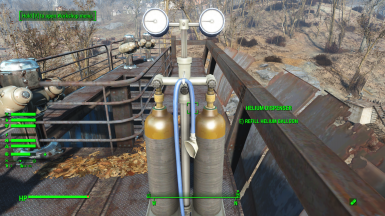 Helium Dispenser is a craftable item in settlements under Resources / Misc. Build one to refill used balloons - either 66%, 33% or 0% can be refilled. 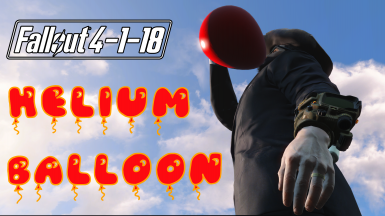 1) link the Inhale Helium item mentioned above to one of your favorites slots. See a List of Possible Keybinds here as a reference. 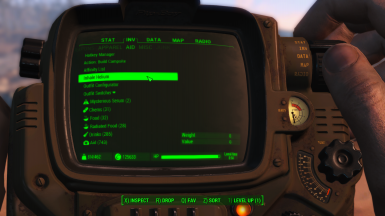 3) the most simple way is of course to use MCM and setup a hotkey through the mod's MCM options. 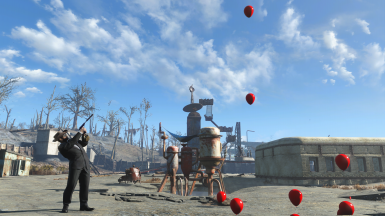 Another way of having fun with the mod is to release Helium Balloons from your inventory and test your shooting skills. The more Helium a balloon has the faster it will fly away. Leveled lists are altered by a script. New animations are loose idles, they do not alter the vanilla character behavior graph. 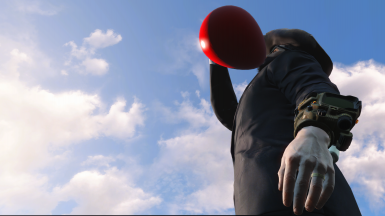 But note that havok physics are only applied to balloons that are 33% filled with Helium, and balloons that are completely empty or ruined. 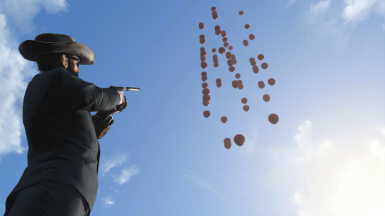 66% and 100% filled balloons have physics applied for only a second, then they start flying up with the keyframe motion type. This means they collide with NPCs or the player character but they do not have collision with other static items, so for example when you release balloons inside a room they won't stop at the ceiling. 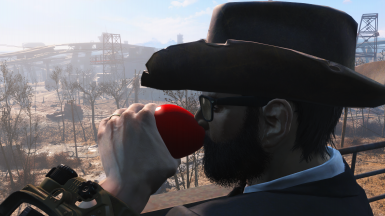 The inhale animation would't work in Power Armor, so the mod doesn't allow you to inhale Helium while wearing PA. 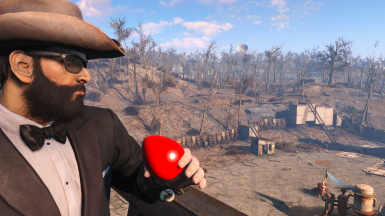 It also changes to third person cause in first person the animation looks silly. 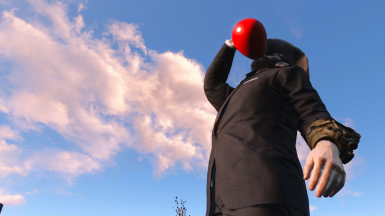 Similarly the refill animation only has first person version, so it forces you to first person view. Note that the refill works in PA as well. Balloon mesh by Duchamp Models from TurboSquid.